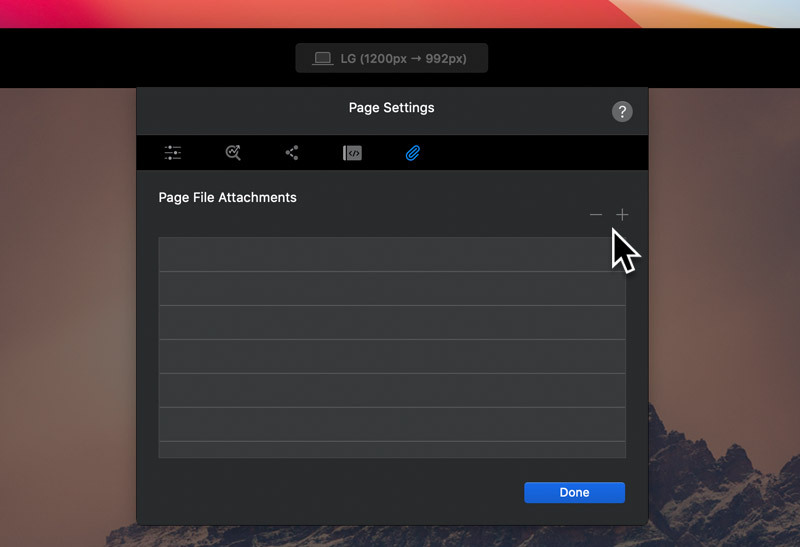 Page attachments do not run within the app when in design mode, however, they do work as expected when a project is previewed. To attach a file to a page, navigate to the page settings by left clicking the setting symbol located in the page navigation dropdown or alternatively by using the keyboard shortcut ⌥+⌘+P. At the bottom of the Page settings sub-window you will see a small list with the title Header File Attachments. To the right of the title there are two buttons, one marked with a – symbol and one marked with a + symbol. To add an attachment left click the button marked with a + and to remove an attachment left click the button marked with a –. Page attachments can also be re-ordered in the attachment table using drag and drop. It’s important to remember that the order of these attachments will affect the loading order of the resources. 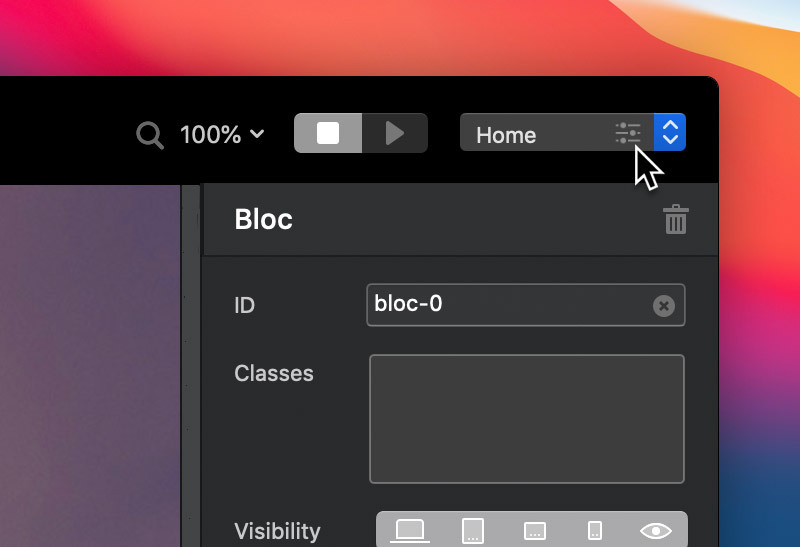 It’s also possible to add additional JS and CSS head attachments by simply dragging and dropping them from the MacOS Finder onto the Blocs design canvas.